"This has sort of awakened us to the idea that, just knowing how many people's lives we've been a part of and just based on the longevity of the store... it's just a place people feel at home and (where they feel) that they're themselves. Just having that kind of third place, I guess people call it, makes us realize this store is an important piece of Boston." Dotters Books Opening in Eau Claire, Wis.
Margaret Leonard and Jill Heinke Moen, co-owners of Dotters Books, Eau Claire, Wis., which will open later this month, "haven't needed a brick-and-mortar store to make an impact" in the city over the last year and a half, the Leader-Telegram reported. They "started a book club that quickly outgrew its meeting space at Red's Mercantile, coordinated pop-up book shops at local businesses and dove head-first into supporting the community they hoped would return the favor." After searching for the perfect storefront, they have leased a building at 1602 Hogeboom Ave. in the East Hill Neighborhood that doesn't need a lot of renovations. They are aiming to open by mid- to late September. Leonard said having the store will only help them improve on their mission to be a community space, foster conversation, connect with others and promote quality books. She feels they have already been doing this "on a smaller scale" and is excited to see it expand. "Instead of having 10,000 books and people feeling overwhelmed, you'll be able to walk in and talk to somebody that can speak to the book," she said. 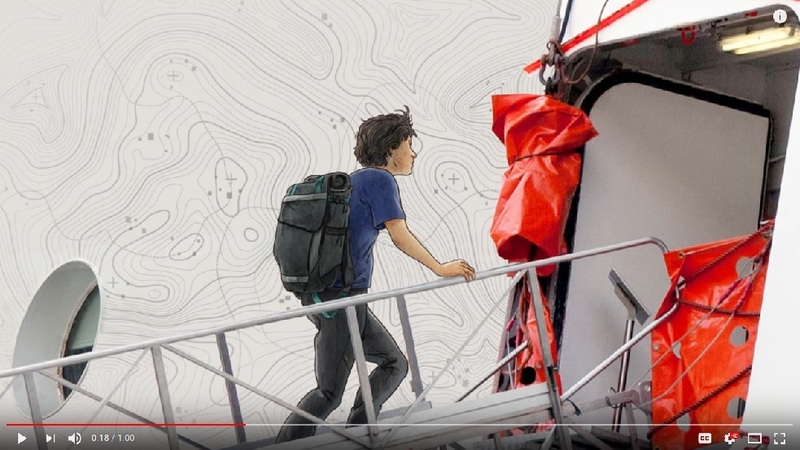 "We're going to face all of our books out so you can see all of the covers and are maybe drawn to a cover. Books are a beautiful piece of art... in so many ways." The book club will continue, with the bookshop "finally giving them a home to meet on a monthly basis. To return the favor of all the spaces that have hosted Dotters, she said they also plan to hold pop-up shops with any local business that is interested," the Leader-Telegram wrote. "People have been so generous with us hosting pop-ups that we're excited to do the same thing, meet more people and connect with them," Leonard said. "I think that's really what books can do--they're a vehicle to a conversation with somebody, and then you find out you have all of these other things in common.... We're really excited to add to the culture of the East Hill and start building a community culture. We can be a great neighborhood place but also a destination for people who don't live in the neighborhood." She added: "I've been wanting to open a bookstore my whole life, it's been a life goal, so it feels surreal we're going to make that happen. It's a little overwhelming and a little bit scary. With any great leap comes a risk, but I think we're ready to meet the challenge." For Sale: Mrs. Figs' Bookworm in Calif.
Mrs. Figs' Bookworm, a 45-year-old bookstore in Camarillo, Calif., has been put up for sale by owner Connie Halpern. The Acorn reported that nine years ago, Halpern "went to shop at the Bookworm on Daily Drive and saw the locally owned bookstore was slated to close by the end of the month." "I started crying and jokingly said, 'Ring me up for the book and the Bookworm. I'll take them both.' I was joking," she recalled, though then-owner Mary Littell was serious. By the end of the month, Halpern and her husband, Steve, were the owners of Mrs. Figs' Bookworm. Now she is looking for someone else to come in and "buy a book and the bookstore," though she will be keeping the title Mrs. Figs, "which she added to the store's name when they bought it, to use as she reads to children at schools and libraries around the country," the Acorn noted. "It's a bittersweet thing for me in selling the shop," she said, adding that owning it is an experience that's "forever stuck to my DNA.... 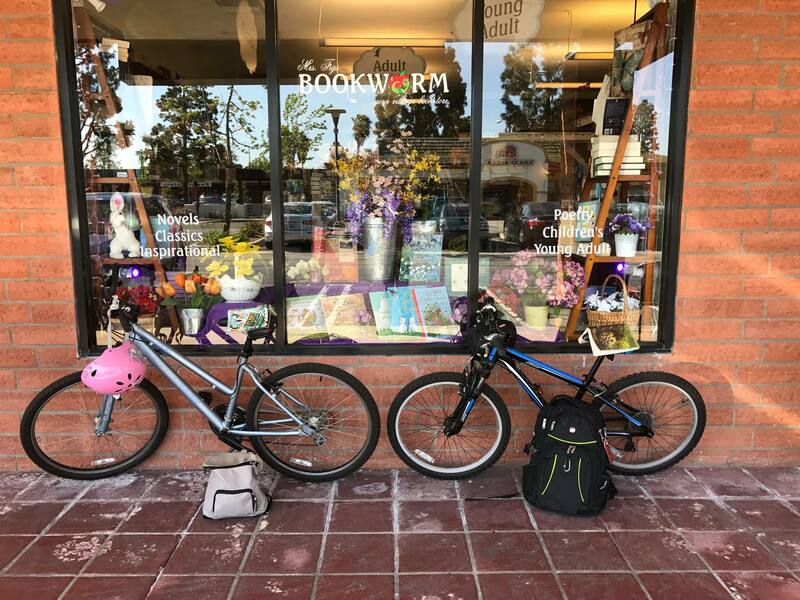 There are 40,000 books in the store and none of them contain the words that I could use to explain away my experience having the opportunity to serve Camarillo as their independent bookseller." Steve Halpern added: "It's been exceptional to see the community support. It's been outstanding. We could not have survived without that support.... The biggest part has been Connie and her personality. She has people come in and talk to her for an hour at a time. Some may buy books and some may not, but she's there for them." The Halperns will "have a firmer idea of an asking price in a month or so, once an outside company they plan to hire has completed an inventory of the store's books and merchandise," the Acorn wrote. Although she doesn’t have a potential buyer yet, Halpern said she is trusting that the right person with the right passion is out there to carry on the shop's legacy: "It's not a business, it's an opportunity to bless the lives of others." Congratulations to Kate McCune, who has won the Voice of the Heartland Award, given by the Great Lakes Independent Booksellers Association and Midwest Independent Booksellers Association to "outstanding individuals who uphold the value of independent bookselling and who have made a significant contribution to bookselling in the Midwest." "There are few sales reps that more fully embody this, and have garnered more respect, in this industry than Kate McCune," the organizations noted. "Her advocacy on behalf of the books published by Harper Collins is legendary--best on display in her rep pick presentations, and her Edelweiss markups." After working as a bookseller for many years, McCune began repping for HarperCollins in 2002 and has served on the board of the Book Industry Charitable Foundation since 2014. As a resident of Ann Arbor, Mich., she has been a cheerleader for Above the Treeline and Edelweiss since the early days and says it's always "been fun to jump on my bike and go to their offices when they need a guinea pig." 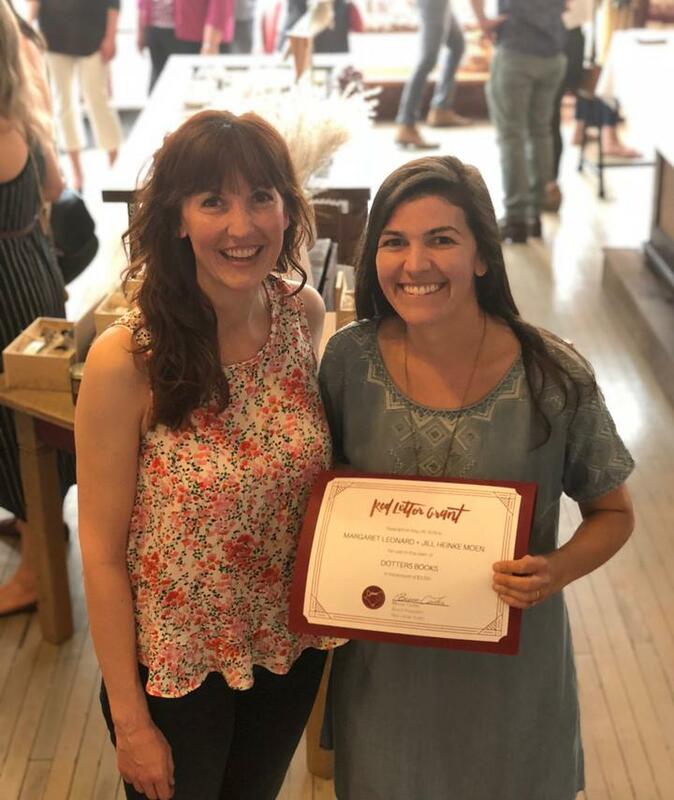 Kelly Estep, manager and buyer at Carmichael's Bookstore, Louisville, Ky., described a sales appointment with Kate as being "more like a lovely visit with a friend. She knows her stores so well that when she says 'buy more' or 'don't skip it' you listen and trust her. She knows Edelweiss inside and out (deserving of a separate award, in my opinion) and always helps navigate. She comes to every appointment with books she knows my staff will love, and a few pointers from other stores in the region. She understands the time constraints, work, and ultimately the love we all put into our stores and has great respect for the booksellers in our region. I treasure our conversations about bookselling, but even more, the stories we share and the wisdom I glean about travel, teenagers, music, aging parents, and navigating our modern world." Johanna Hynes, field sales manager at IPS, observed that "although the very job description of a rep is to create buzz and hype around every book one is asked to sell, Kate is among the most rare of us who retains her authenticity and authority in her recommendations. She conveys the interests and hopes of the publisher, without ever compromising her reputation as a gifted and honest reader. My professional mantra for many years has been, 'WWKD?' and it has never failed me once." Binc executive director Pamela French said that McCune "has served on the program committee the entire time and has been instrumental in helping Binc determine both the second phase of our strategic plan, and how Binc moves into the future. She has made more introductions and connections for us than I can count. 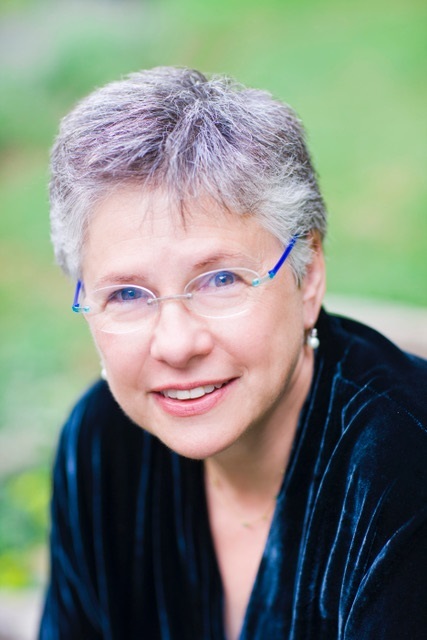 She is an advocate for booksellers with a capital A. I'm thrilled to sing her praises." McCune will receive the award during the book awards dinner on Wednesday, October 3, during the Heartland Fall Forum. Later this month, Penguin Random House is launching Book the Vote, a company-wide effort that aims to encourage voter registration and voter turnout in connection with appearances by popular authors and by providing bookstores tools for displays, community nights and related initiatives. The idea came from the upcoming book by the founders of March for Our Lives, Glimmer of Hope: How Tragedy Sparked a Movement, which is being published by Razorbill and Dutton Adult on October 16. The March for Our Lives students just finished their Road to Change tour, registering voters at 50 events nationally. PRH wants, it said, "to continue this initiative and to inspire authors and bookstores across the country to get involved." PRH U.S. CEO Madeline McIntosh commented: "We established Book the Vote to encourage every citizen to vote and to highlight how essential this civic duty is to our democracy and, of course, to free expression, which is the foundation for book publishing. We are hopeful that together with our authors, employees, and retailers, we can help create a more democratic future for our readers." For Book the Vote, PRH is partnering with HeadCount, an organization that has registered some 500,000 voters at concerts, music festivals, and cultural events since 2004. Book the Vote will officially launch on National Voter Registration Day on September 25, when authors and company employees will get the word out via social media and PRH consumer platforms. In addition, PRH and HeadCount will work to set up voter registration drives at previously scheduled major events in the fall with authors Hank Green and John Green, Jodi Picoult, Deborah Harkness, Jacqueline Woodson, Marie Lu, DeRay Mckesson, Brad Meltzer, Chip Conley and Ransom Riggs. Author and teacher Ann Ireland died August 23, "a blow that has been felt acutely by many in the Canadian literary community, " Quill & Quire reported. She was 65. Ireland published five novels, the first of which, A Certain Mr. Takahashi (1985), won the Seal Books First Novel Award and the Books in Canada First Novel Award. Her third novel, Exile, was shortlisted for a Governor General's Literary Award in 2002; and her fifth novel, Where’s Bob?, was published earlier this year by Biblioasis. Ireland was a former president of PEN Canada and since 1991 had taught creative writing at the Chang School in Ryerson University. Writer Lesley Krueger said winning the Seal First Novel award "was important in unpredictable ways. Some people might have become full of themselves, but for Ann, it brought home the difference that timely help could make.... People talking about Ann always mention her kindness. She wanted people to have their chance and was extremely generous about helping them get it." On Facebook, author Elizabeth Ruth posted: "Ann Ireland was so warm to me when I first emerged onto Canada's chilly lit scene as I'm sure she was to many. Over the years I admired her even more for her lack of pretension, the unique artistic life she carved out for herself, and for that smile that seemed to take over her entire face." Biblioasis publisher Daniel Wells noted that "in her last missive to me she asked me to keep Where's Bob? circulating. I promised to do so, and I know we'll all keep her memory alive, and be reminded of her wit, wisdom, and generous engagement with the world, through the fine books she's left us." 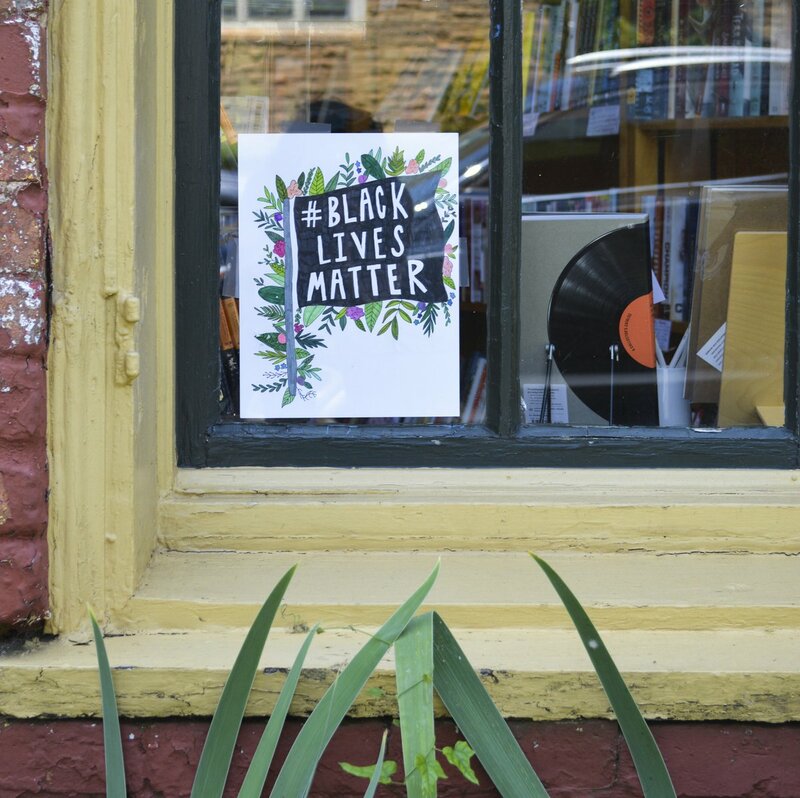 In response to a one-star Google review claiming it was a "bad business move" to put the staff's political opinions in the store's front window, Avid Bookshop in Athens, Ga., shared on Twitter that they asked two of their artistically talented booksellers to create an eye-catching Black Lives Matter sign, which is now prominently displayed. And on Instagram, the store reiterated that "today and every day... both locations of Avid Bookshop are safe and welcoming spaces," and encouraged customers and community members to comment or to e-mail the store with suggestions on how a bookstore can better make a difference. The store concluded: "We love and value you all, even those who may disagree with our choice to be activists in this fraught time." "What if the pterodactyl had refused to go extinct?" the Baltimore Sun asked in a profile of indie booksellers in the city headlined "How Baltimore's independent bookstores are thriving in the age of Amazon." "The urban legend about indie bookstores being an endangered species has been hard to break,” said American Booksellers Association CEO Oren Teicher. "Amazon remains a fierce competitor, but we're hanging on. 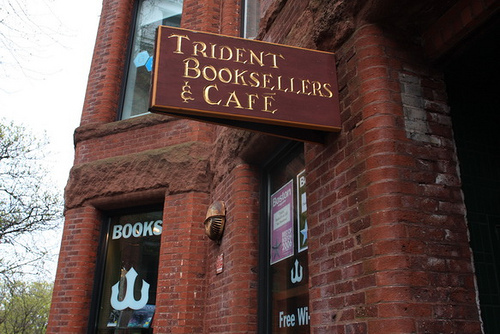 Physical bookstores are not going away." Greedy Reads opened last March in the Fells Point neighborhood. "The first five months have been awesome," said owner Julia Fleischaker. "I lucked into a community that wants to shop local, and I became a part of the neighborhood so much quicker than I would have thought." Although the indies have benefited from developments in the national publishing industry, the Sun noted that "savvy store owners like Fleischaker and the Ivy Bookshop's Ed & Ann Berlin and Emma Snyder have helped themselves by enmeshing their stores deeply into their neighborhoods. They run book clubs and sponsor visiting authors, organize literary festivals and raise money for local organizations." Ed Berlin said: "Our whole business model is based on partnerships and collaborations and creating opportunities for people to read. Baltimore is a city that always roots for its home team. So how can you not root for the Ivy?" Muddy Water Bookstore, Navasota, Tex., shared a photo of the shop's resident cat that could also qualify as window display of the day. 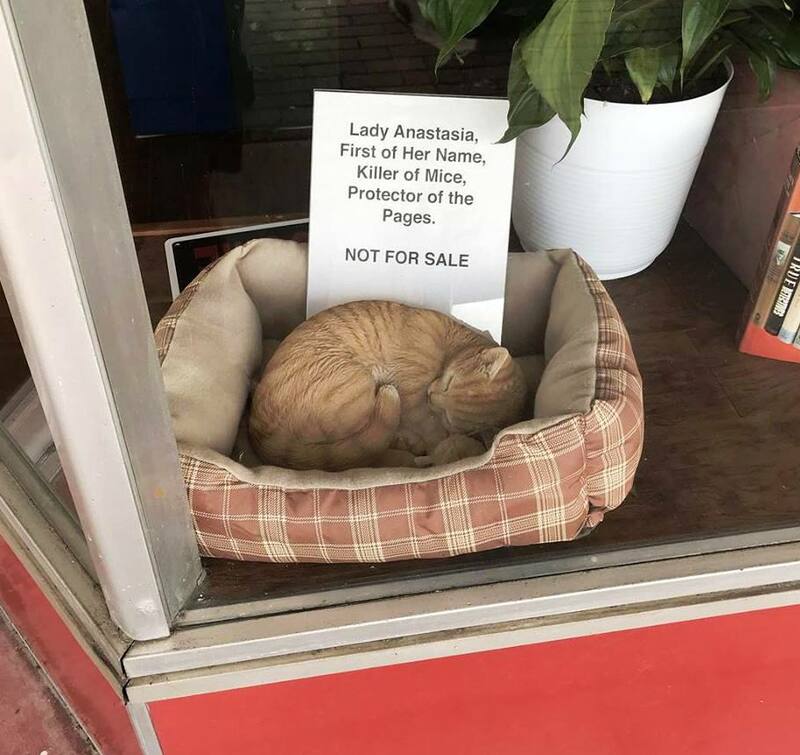 The sign reads: "Lady Anastasia, First of Her Name, Killer of Mice, Protector of Pages. NOT FOR SALE." Explorer Academy: The Nebula Secret by Trudi Trueit (Under the Stars/National Geographic Kids Books). Today Show: Lisa Brennan-Jobs, author of Small Fry (Grove Press, $26, 9780802128232). Fresh Air: John Kerry, author of Every Day Is Extra (Simon & Schuster, $35, 9781501178955). He's also on MSNBC's All In with Chris Hayes tomorrow. NPR's the World: Rick Wilson, author of Everything Trump Touches Dies: A Republican Strategist Gets Real About the Worst President Ever (Free Press, $27, 9781982103125). The BBC is developing a detective drama series based on the classic 1938 mystery novel The Beast Must Die by Nicholas Blake, "the nom de plume of poet Cecil Day-Lewis, father of Daniel Day-Lewis," Deadline reported. The adaptation is being written by Gaby Chiappe (Their Finest), who has written on a number of British crime dramas, including ITV's The Level and Vera as well as BBC's Shetland. Nathaniel Parker, the actor who played the lead role in The Inspector Lynley Mysteries, is an executive producer for the project, which is likely to be five or six episodes, Deadline wrote, adding that the "series could turn into a long-running franchise for the BBC as Blake/Day Lewis wrote 15 books featuring the detective." 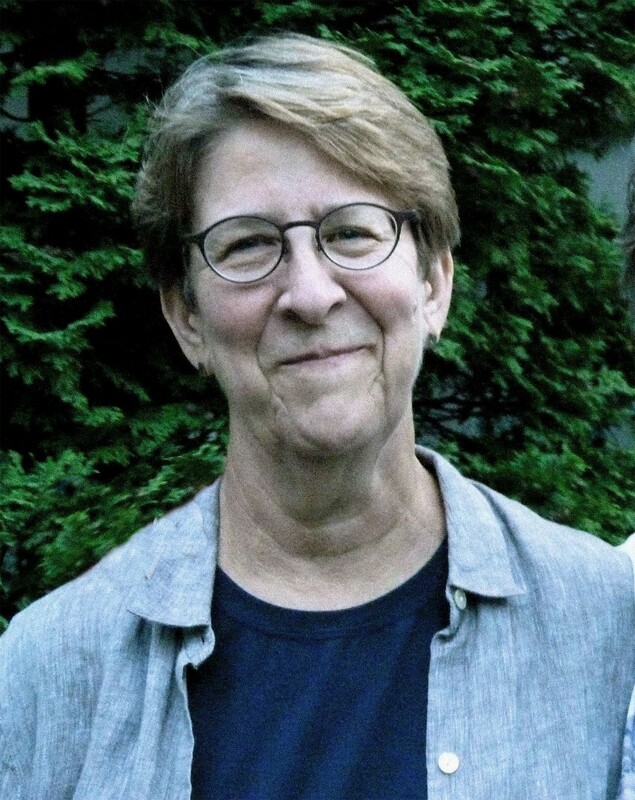 Katharine Weber is the author of seven books, including Triangle, Objects in Mirror Are Closer Than They Appear, The Music Lesson and The Little Women. She's in her seventh year as the Richard L. Thomas Professor of Creative Writing at Kenyon College. Weber's first fiction in print, a story that was part of her first novel in progress, appeared in the New Yorker in 1993. She admits now that after "Friend of the Family" was rejected, she sent it back unchanged, convinced that it would succeed there; this time Daniel Menaker found it in the slush pile. 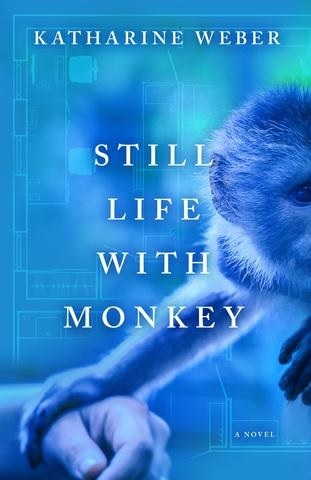 Her new novel is Still Life with Monkey (Paul Dry Books, August 21, 2018). Asymmetry by Lisa Halliday. I was drawn to this impressive if uneven first novel because it is in part a fictionalized account of the author's romance with Philip Roth, one of my literary heroes. The Twenty-One Balloons by William Pène Du Bois. I was captivated by this wildly inventive utopian story of hot air balloon travel, Krakatoa's 1883 eruption, mountains of diamonds and electric houses filled with futuristic inventions, all ruled generously by the Gourmet Government. Infinite Jest by David Foster Wallace. I teach at Kenyon College, where DFW gave his cherished "This Is Water" commencement address, so it's practically holy scripture, but I have never been able to get more than halfway through this infinite text. The Floating Opera by John Barth. Published in 1956, Barth's idiosyncratic first novel was revised and re-published 11 years later, when he was successful enough to demand the restoration of the nihilistic ending his publisher had insisted on changing. Independent People by Halldor Laxness, for the enchanting cover painting by Louisa Matthiasdottir, a perfect pairing of Icelandic artist and writer. No books were off-limits, so I had nothing to hide. I read my parents' copy of Lady Chatterley's Lover when I was 12. Many things were hidden in that house, but not books. Edwin Mullhouse by Steven Millhauser, the fantastically inventive novel--a biography of a child by another child!--that gave me permission to write novels. Lucy Carmichael by Margaret Kennedy, So Little Time by J.P. Marquand, Cress Delahanty by Jessamyn West, Custom of the Country by Edith Wharton, The Complete Stories of Flannery O'Connor. The Great Gatsby by F. Scott Fitzgerald. It's an utterly perfect novel (really a novella), a cocktail of inevitability and surprise and strangeness that goes down flawlessly each time I read it. Like most of us, I read it for the first time when I was far too young to appreciate what signifies and resonates for me now. Fragments by Binjamin Wilkomirski. This 1996 counterfeit Holocaust memoir was violent and disturbing and deeply moving--and then it became exponentially disturbing and disgusting, when the author was subsequently unmasked as a fraud. This book wasn't "fiction," it was appropriation and grotesquely false. 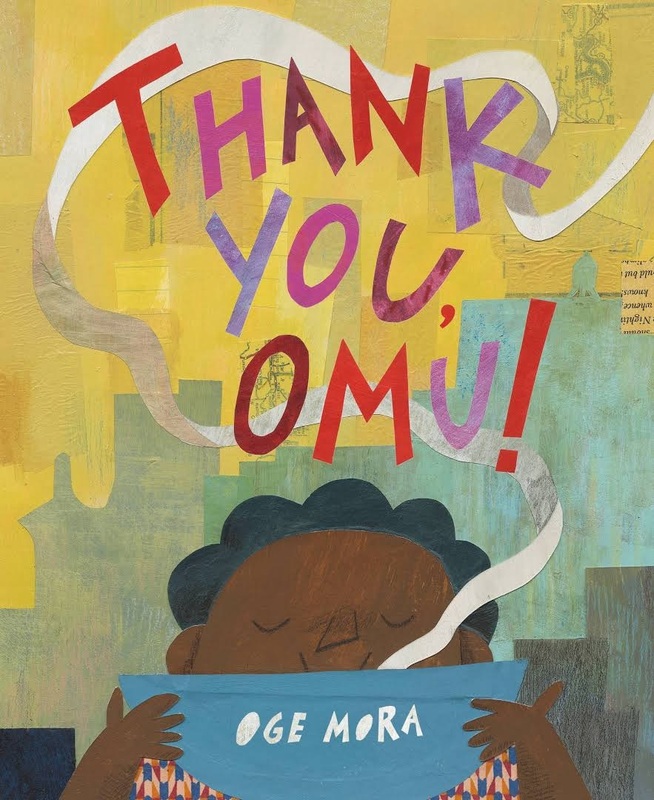 Children's Review Thank You, Omu! From an open window of a top-floor apartment on "the corner of First Street and Long Street" comes a most delicious smell. Omu (pronounced AH-moo) is preparing "a thick red stew in a big fat pot for a nice evening meal." Certain that "[t]onight's dinner will surely be the best [she's] ever had," Omu reads her book as her supper simmers. The irresistible scent, however, can't be contained: it "waft[s] out the window and out the door, down the hall, toward the street, and around the block." Soon enough, a loud "KNOCK!" interrupts Omu's reading. She opens her door to find a little boy who was distracted from playing with his race car by the "most delicious smell." Since she's made "quite a bit," Omu readily shares a bowl with the hungry boy, who eats and leaves with a satiated "THANK YOU, OMU!" The tempting aroma continues wafting "around the block" and no sooner has Omu settled back down when a double "KNOCK!" has her up again. This time Omu finds a police officer hoping for a taste. Again, Omu shares, sending the officer off with a satisfied "THANK YOU, OMU!" Another "KNOCK! KNOCK! KNOCK!" announces the arrival of Mr. Hot Dog Vendor, summoned by the "delectable" scent. Once more, Omu shares. "Throughout the day, people from all across the neighborhood [knock] on Omu's door" and, of course, no one leaves hungry. As "the sky darkened, the streetlights brightened" and Omu got ready to enjoy her "big fat pot of thick red stew for her nice evening meal," she discovered her pot was utterly empty. Her "[s]orry and blue" disappointment doesn't last long however, because with a boisterous "KNOCK! KNOCK! KNOCK! KNOCK! KNOCK!," an exuberant crowd appears on her doorstep: "We are not here to ask... WE ARE HERE TO GIVE." Let the feasting begin! Shelf Talker: The tantalizing scent of Omu's stew brings hungry strangers to her door until her intended dinner disappears, but then an impromptu neighborhood feast appears.